Was assigned to Combat Replacement Company 13 and participated in Desert Shield and Desert Storm. 1991-1993- Assigned to 1​st​ Light Armored Infantry Battalion, Camp Pendleton, CA. Attended Jump School, Master Gunner’s course, and Combat instructor for water survival. Deployed as a Vehicle Commander with Battalion Landing Team 1/4 and the 15​th​ MEU. 1997-Drill Instructor and Senior Drill Instructor with Golf Company, 2​nd​ Recruit Training Battalion. 1997-2000- 2​nd​ Light Armored Reconnaissance Battalion, Camp Lejeune, NC. Served as Platoon Sergeant and Platoon Commander, deployed with the 26​ ​ MEU in 1999, was sent to Kosovo, where he receive his first combat action, achievement medal and combat distinguishing device. 2000-2005- Marine Barracks 8​th​ & I, Washington, DC, and later to Camp David, MD, to serve as the Guard Chief at the Presidential Retreat, received presidential service badge. 2005-2008- 2​nd​ Battalion, 6​th​ Marines was 1stSgt for Weapons Company, deployed twice to Fallujah, and received his second Combat Action. 2008-2009- School of Infantry-East, was Golf Company 1stSgt, supervised the instruction of 14 classes and almost 5,600 students in basic combat skills. 2010-2012- Sergeant Major of Recruiting Station, Des Moines, Iowa, covering five states and 180,000 square mile. 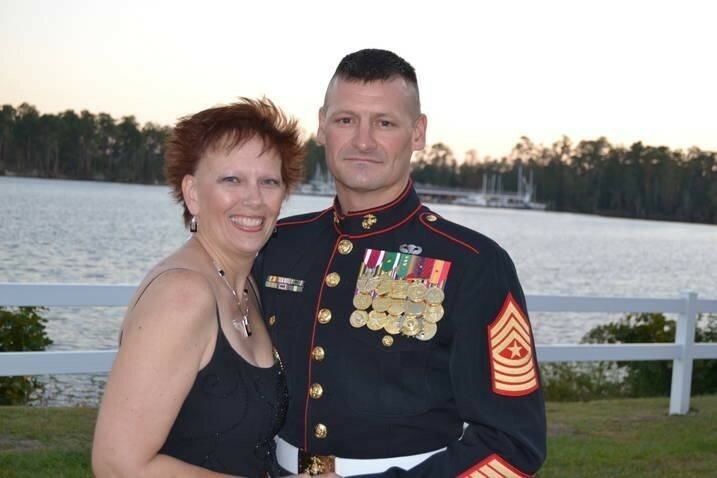 USMC Sergeant Major(Ret) John E. Sackett entered the Marine Corps in July 1990 and retired in 2012 after a long honorable and accomplished career. John led Marine in combat and served in many pretish roles. He received the Presidential Service Badge for his role on Camp David. Like a lot of folks, I was unaware of The FEW, until another Warfighter said “hey John you want to go on a fishing trip,” of course, was my reply. I provided some information to validate who I was and some of what I had done while I was a Marine. That was it, and I was fishing three weeks later on a piece of history. The Orca from JAWS, now named the Cricket. I was able to spend almost an entire day surrounded by Exceptional Warriors. Throughout the day we shared stories, memories and life lessons. There is bond between Men who have seen the worst of the worst and they usually don’t open up to strangers, civilians or even servicemen who didn’t do the same work. The Foundation for Exceptional Warriors is recreational therapy, a chance for like minded individual who have done the dirty work to decompress, relax, reintegrate, bond and heal. This is accomplished by allowing those exceptional warfighters to congregate and communicate over some sort of outdoor activity. Have time to sit and cross talk with those who have seen and done the same as they have. They learn from one another and give amazing advice and recommendations to assist their peers though some pretty tough struggles. At the end of the event everyone usually has multiple phone numbers and a friend who they can call at any time should they need assistance or advice. I have always been an outdoor enthusiast, so any chance I can do something outdoors, and do with with those who have sacrificed so much for this Great Country I enjoy every second if it. I appreciate all The FEW has done for ee, and I look forward to doing all I can to help The FEW.